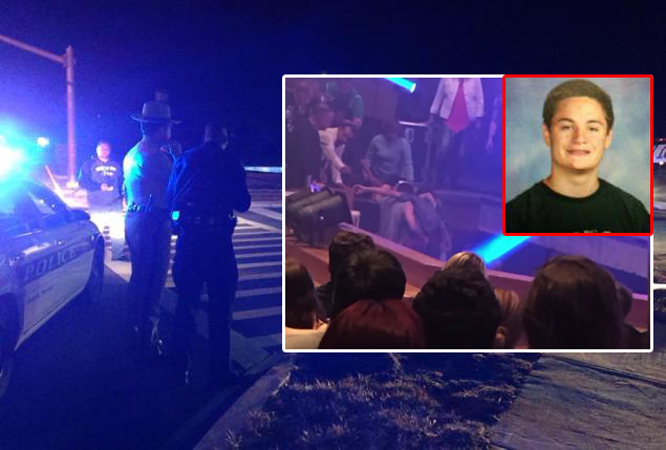 A high school student was shot and killed at his high school prom after dancing with another boys date. The killer, identified as Jack Napier, 19, shot and killed Milton Hargrove while sharing a dance with Erica Turner, who was Jacks’s date. “She told jack she was going to the bathroom.” says witness Marco Watts. Apparently Jack found Erica dancing on the other side of the dance floor with Milton and lost his cool, became very angry and pulled out a gun and shot Milton dead. Jack decided to turn himself in when police arrived to the scene minutes later. Jack will be tried as an adult and will most likely serve life in prison if found guilty. Family and friends are mourning Milton’s murder and will hold his funeral soon.